and it's a THROW DOWN!!! 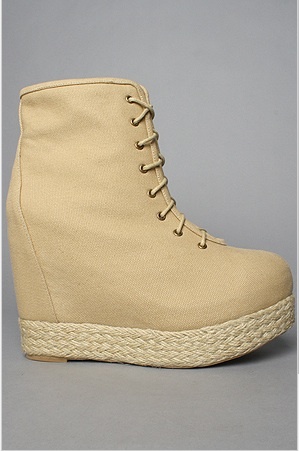 Drool drool... these wedges are in my wishlist. Check out Jeffrey Campbell's Throwdown! Aren't they oh so pretty? I love the espadrilles type sole. 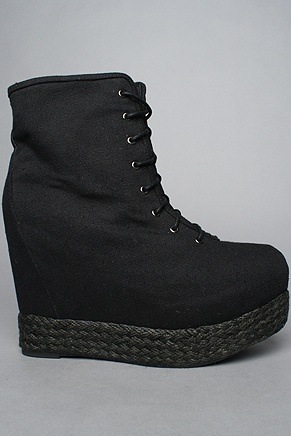 Gosh, I am so in love with these wedges! Me so want!!! Check out the limited edition Karmaloop exclusive Chino colorway! I think I've forgotten how to breathe. Oh myyyyyy..... I want one also!!!!!!! Jeffrey Campbell in general makes me cry tears of beautiful joy.